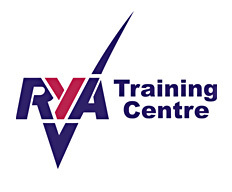 Wimbleball Sailing Club is a foundation site of RYA Sailability where a dedicated and enthusiastic group of club members volunteer to help those with disabilities have the experience and enjoyment of going afloat in a sailing boat. Between May and September, subject to favourable weather conditions, we can take you for a sail on Wimbleball Lake. If you have the 'know how' and skills, you may be able to get a sail on your own in specially designed or adapted boats. There will be a safety boat on standby. The Club has a hoist by the water's edge, to transfer sailors on and off boats, however the approach to the hoist is steep and bumpy so it may be necessary to transfer to an off road chair placed alongside your own. We have a specialised toilet facility for the disabled, with full wheel chair access. Wimbleball Sailability is a registered charity (Charity no. 1128731) whose objective is to promote sailing and sail training in the disabled community.